Twice I nearly missed adding a great board member by being ego-driven about valuation. What follows is a treatise on why entrepreneurs need to recalibrate away from valuation and towards investor quality. Three quarters of available VCs are going out of business. Only the top 10% deliver truly great returns. The bad ones don’t even know they are bad. What are you going to learn as an entrepreneur from an investor who is milking a management fee from disappointed limited partners while dying a slow professional death? Your daughter Maria comes to you. She has a dilemma on her hands. Who do you love more? you want to ask her. “So what’s the problem?” you ask her. “I like Ajay too. He adores me. He says I’m amazing. He doesn’t challenge me as much, and I have to admit some days that’s nice. I feel he wants to be with me more. He may even love me more,” she says wistfully. “Why do you think he loves you more?” you ask gently. “Well you see, they both proposed. And the ring Ajay offered is much prettier, it’s much bigger. It’s the kind I always wanted,” she says. You recoil, hardly recognizing the girl you raised. “What about Enrique’s?” you ask her. “How much smaller?” you go on, incredulous, a growing pit in your stomach. “It’s like 18% smaller Dad!” she says, near tears. “Well can Enrique afford one the same size as Ajay?” you ask. Inside you are thinking sweetheart, you measured it and did a comparison? “Yes, he can! Enrique can totally afford it. He’s got the money!” her voice grows louder now, and she’s near tears. “So why is he offering one 18% smaller, when you say he’s got great judgment, if he knows it means he might lose you?” you ask in a measured tone. She pauses, and gathers herself. “I think he wants to prove he can get me at a lower price,” she finally replies quietly, her voice barely a whisper. You both sit there, dumbfounded. Is this a preposterous scenario? It happens between venture capitalists and entrepreneurs all the time. By now, you see where I am going. Maria is the entrepreneur, Enrique and Ajay are VCs competing to invest in her company, and the ring value is the pre-money valuation, the most important term in a venture capital round. The VC who is less established, Ajay, who has a less exciting track record and fewer opportunities to invest in good companies on a relative basis, has more to gain by investing in the deal reputation-wise, wants to prove himself at his firm, and is therefore willing to take more risk and pay a higher price. The more prestigious VC, Enrique, who has a more exciting track record and who is at a better firm, and who has a higher opportunity cost of capital because he has more access to invest in good deals, still wants to invest in Maria’s company, but wants to do it at a lower price. His opportunity cost is higher. 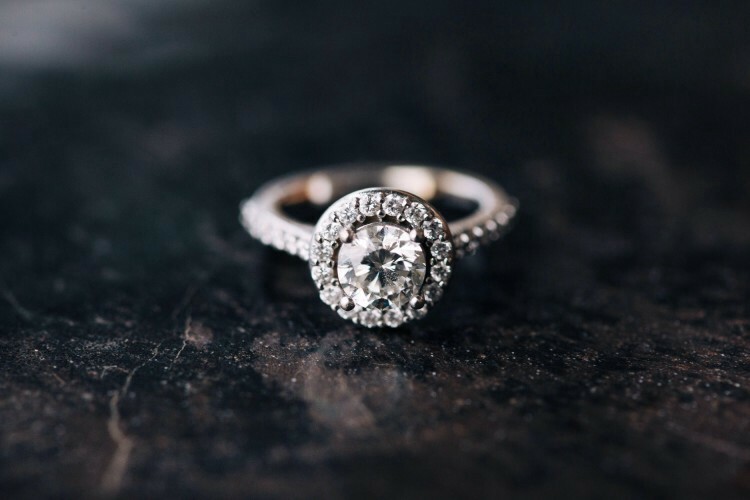 She should pick the best partner, not the prettiest ring. Who would you rather be with: someone with more alternatives, or someone with fewer? Your pre-money valuation doesn’t mean anything. It’s not the price at which your company is being sold for: it’s the price at which a percentage of your company is being sold for. It’s not really what your company’s worth; it’s a bet on what it might be worth. It’s the price at which someone is willing to invest in with the belief that it will become more valuable. Too many entrepreneurs think their valuation is the real economic price of their company. It’s not. It’s not a real economic price unless you are selling 100%. No one ever valued a banana at a dollar because a bite cost ten cents. The higher your valuation is, the harder your job becomes. To an entrepreneur, closing a financing often feels like the end of a marathon. It’s actually the starting gun. You now have a finite runway with increased stakes — more capital, more employees, more PR, more customers, more vendors, and more investors — to prove that your company is worth more than your current post-money. The clock begins ticking the moment you close the round. The counterpoint, of course, is a higher valuation gives you more capital at the same dilution. And yet — it is the force multiplier of how much you are raising and the quality of the investor you are raising it from that you are optimizing for. It’s not just the runway, it’s the quality of the runway, that matters. Entrepreneurs typically over-index towards the virtual present and are over-confident about the unrealized future in these transactions. It’s not the current size of the slice you are left with that matters, it’s the future value of your slice in a real transaction you are betting on. Which VC will be better at keeping the company alive if it appears the pie might be headed toward zero? It’s a paradox that decreasing percent ownership in your company can be a sign that things are going well, not poorly. (That said sometimes it’s a sign that things are going poorly.) As to which investor generates a better expected value of the size of the slice, that’s a really hard thing to forecast. Then again, that’s your job as founding CEO: to increase the size of the pie for all shareholders, to make good decisions about people in the face of uncertainty, and to increase the expected value of your economic outcome as it moves from possible to probable to realized. People who are great at making decisions in the face of uncertainty have great judgment. And great judgment is your job as CEO, along with cultivating the self-awareness required to lead. Maximizing your own percent ownership is not your job. Moreover picking the wrong VC is not something you can test, not until your next company—and that learning won’t benefit your current shareholders. You can hire the wrong CEO and fire them, but you cannot fire an investor. Money has faces. And they ain’t just Washington, Lincoln, Franklin, Jefferson and Hamilton. There are some companies out there which command just about whatever price they want from just about whomever they want, including from Enrique. Unicorns in the making are very rare companies which make it to $1 billion of enterprise value and beyond. They are exceptionally rare, and it’s not useful to benchmark off of them when going through your financing. Even some unicorns had a hard time at some stage or another when they were raising money. Others “false positives” had a unicorn-like experience raising capital due to momentum and herd mentality and raising money at the right time, but don’t end up making it to the promise land. Regardless, these unicorns are real outliers, and comparing their experience to yours is not that useful to your situation. In fact if you’re in the situation, you are certainly not reading this. I guarantee no one with an emerging unicorn is reading this. They don’t have time. And they certainly don’t need my rambling advice. Hey that’s not fair. Beyonce’s got a huge rock and she’s married to a great guy. Well sista, these four walls you built, baby they’re crumbling down. Another argument for the entrepreneur who wants the higher price is that Ajay’s willingness to pay up means he believes more, and the fact that Enrique is being “cheap” indicates he doesn’t believe in the company as much. A VC who is super valuation sensitive in the early rounds is simply handicapping the odds the company doesn’t work—and why would you want a VC who is skeptical and unsure of the success you know is coming? I don’t love this argument. Enrique’s doubt and skepticism, if coupled with high emotional intelligence and strong interpersonal skills, can in fact be a vital force to improve the company. You don’t actually want a yes-man. As founding CEO you have a lot of power at the company, and having a VC who can tell you the truth as they see it, and improve the company as a result, is much more valuable to the enterprise, and therefore to you, than a yes-man VC. Be careful, here: building a company is hard work, and the siren song of a yes-man can feel seductively good to a stressed entrepreneur who structurally doesn’t get much positive feedback from anyone. What you’re actually looking for is someone who you will respect, which may inversely correlate with price at the time. Now this is a decent argument: which is that the price in the early innings matters more to the entrepreneur than it does to the VC in the long run. Here’s the logic: if the VC wants to own a piece of the company, then the VC should be in at whatever price the entrepreneur wants—unicorn or not. After all, the outcome is many ways binary. The company is either going to work or it’s not, and if it works, then the pre-money, at least of the A round, doesn’t matter that much. Said differently, the discrepancy between the bid/ask matters more to the entrepreneur than the VC, and so the VC should pay up as such if they really want to invest. Why would you want a VC who doesn’t realize that the price matters a lot to you, but doesn’t matter that much to them in a world of binary outcomes? What makes a great VC is company/entrepreneur picking. The great VC’s realize that not missing great companies matters much more than getting a better deal on the ones that in fact work. And the price on the losers doesn’t matter, because owning more of something worth nothing is still nothing. Therefore, if they are a great VC, and they view your company to potentially be great, then they won’t negotiate much. Look: the job of a VC is to buy low and sell high. Part of their job is picking great companies so they can sell high. The other part though is buying low to begin with. For all the talk of helping great entrepreneurs, never forget that that’s their job. That’s what they get paid to do. Let’s call Ajay’s bid Y and Enrique’s bid X. Surely if (X-Y)/Y is at 50%, price is going come in to play. But usually, like Maria’s ring, we’re talking 18%—or a range from 5 to 25%. In that range, my belief is you go with the best firm, even if they’re being a little cheap. Here’s how you test their mettle: ask for a 10% price increase. Generally you can get them up come up 10%, which will close the gap. If they won’t, that’s a bad sign the other way (lack of willingness to compromise) and you can go with Ajay. This essay is a nudge towards the counter-intuitive choice of picking Enrique over Ajay, even though Ajay is offering the bigger rock. It’s a paradox: it’s actually smaller in terms of what it means, you just don’t know it yet. It’s a bigger future ring. The real hardware is when you sell the company or IPO. Don’t be silly and optimize for the virtual stones along the way. For what it’s worth, I think she should marry someone who is a great partner and who is generous, though this type of have-it-all thinking may be why I waited 38 years to get married. I got Manuela a tourmaline. A rare gem for a rare woman. I thank gawd every day what I have learned from her. It’s not size or money, it’s ethics, it’s individuality, and finding the rare great humans that is actually precious.